Babies are like angels and whenever there’s one or two in the family they're definitely the source of happiness. I’ve been pregnant for three times and each pregnancy always brought excitement to my family including my mom and my siblings. Before giving birth we kept ourselves busy with choosing baby things for the coming new member of the family. It’s easy to shop for the little things like baby bottles, little dresses or shirts and accessories but it took me a much longer time or days to decide on which baby pushchairs to choose for my dear little one. I have to be sure that it’s the best quality, brand, size style and color that I want. After all, whatever I will choose it will be passed on to my other upcoming babies. I prefer baby things with quality and style because it will endure time and usage. 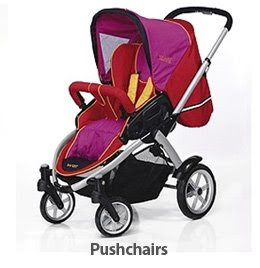 I’ve been amazed with shopping online lately and had some thoughts that if it’s available few years ago I wouldn’t have a hard time picking the right pram for my baby. It’s easier to search, browse, canvass and buy online. I got even more excited when I browsed BabyThings4u because I’ve found wide selection of the strollers, pushchairs and prams for the little one. I have a friend who is pregnant now and I’ve been helping her choose things for her second baby. She’s very particular with brands and she’s happy to know that babythings4u offers strollers, prams, pushchair and other baby equipment in top brands such as Chicco, Graco, Obaby and Hauck. Actually she wants Graco because she’s satisfied with her first child equipment. With these brands available at them they offer it at a very low price. For those who are looking for something cheap and very affordable they also have it. So visit their site now and start choosing the perfect baby equipment for your dear little one. Rest assured your order will be hassle free with their best customer service.